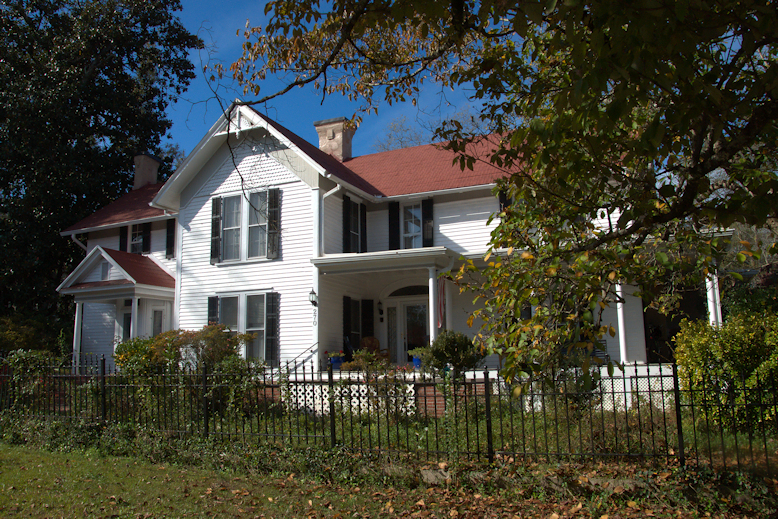 The T. R. R. Cobb House is one of Georgia’s great preservation success stories. 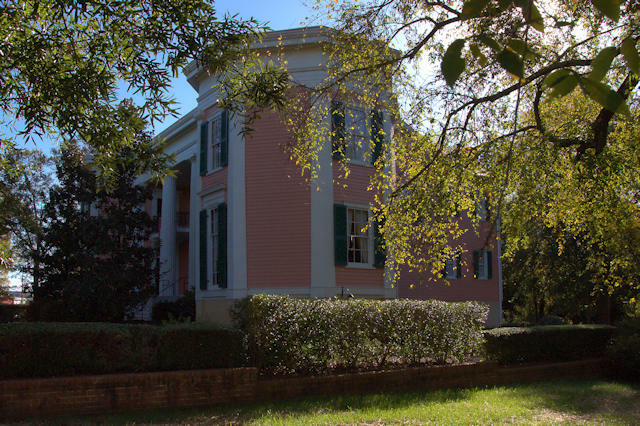 It is thought that Thomas H. McKinley built the original section as a Plantation Plain circa 1834. Georgia’s first Chief Justice, Joseph Henry Lumpkin, bought it from McKinley in 1842 and gave it as a wedding gift to his daughter Marion and son-in-law Thomas Reade Rootes Cobb in 1844. The portico and octagonal wings were added in 1852. Cobb served as reporter of the State Supreme Court from 1849-1857, founded the Lucy Cobb Institute in 1858, and with his father-in-law and William H. Hull founded the School of Law at the University of Georgia in 1859. One of the leading advocates of slavery and secession, he was killed at Fredericksburg in 1862. Marion lived in the house until 1873. It was later a rental property, fraternity house, and boarding house. In 1962, it was purchased by the Archdiocese of Atlanta for the use of St. Joseph’s Catholic Church. Threatened with demolition in the 1980s, it was moved to Stone Mountain Park in 1985. It was never restored or used by the Stone Mountain Memorial Association due to budgetary constraints. 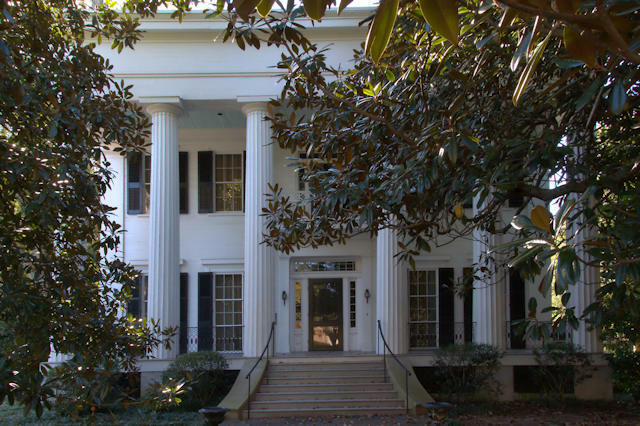 Thanks to efforts of the Watson-Brown Foundation, Athens-Clarke Heritage Foundation, and the Georgia Trust for Historic Preservation, the landmark was returned to Athens in 2005. 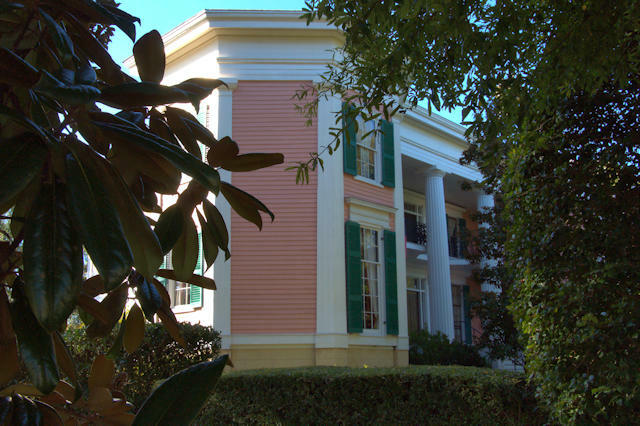 The Watson-Brown Foundation oversaw restoration of the house, which is now a museum. 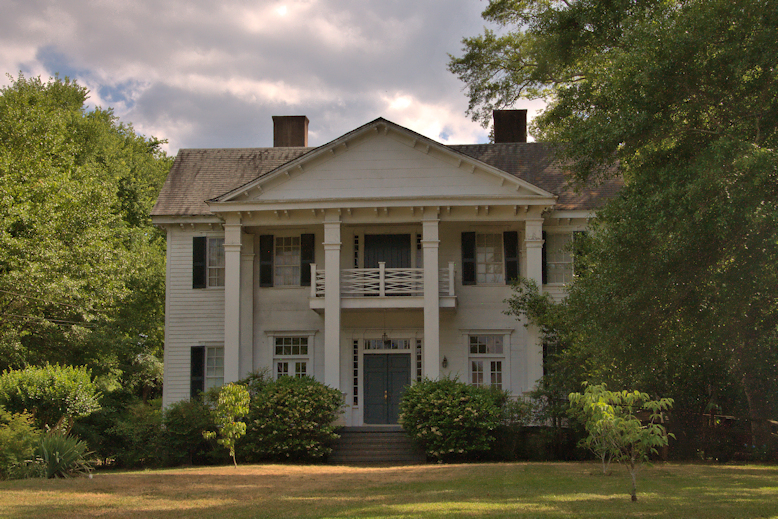 One of the most prominent politicians of 19th-century Georgia, Howell Cobb (1815-1868) lived here while Governor of Georgia, a member of the U. S. House of Representatives, Secretary of the Treasury, and Confederate General. It was here that the Articles of Confederation were read to a crowd of onlookers in 1861 and where federal troops arrested Cobb. 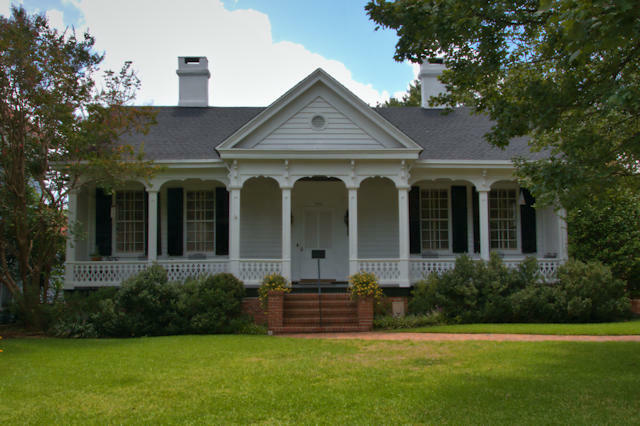 When built for plantation owner Nathan Beall, this house was a large but simple Victorian. He later sold it Leonadius H. Jordan, owner of the Academy of Music (today’s Grand Opera House). 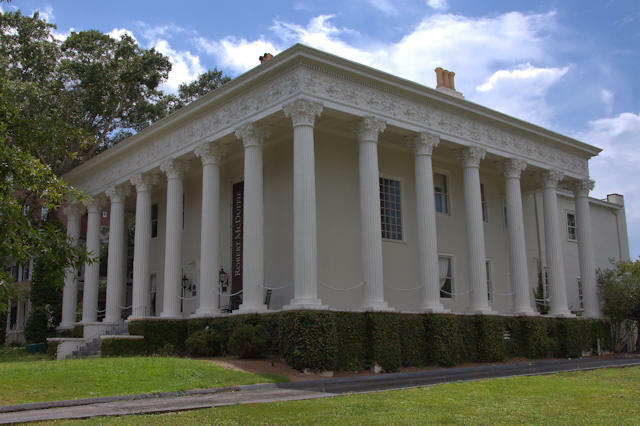 Jordan died in 1899 and in 1900 it was restored by Confederate Captain Samuel S. Dunlap, the most significant change being the addition of 18 Corinthian columns. During World War II, it was a boarding house and tea room operated by Mrs. Robert Lasseter. A photo of The Allman Brothers standing on the front porch of the house, looking a bit worse for wear, graces the cover of their eponymous debut album in 1969. In the 1970s and 1980s it was one of Macon’s most popular restaurants, known as Beall’s 1860. In 2001 it was restored by Gus Bell and donated to Mercer University in 2008. 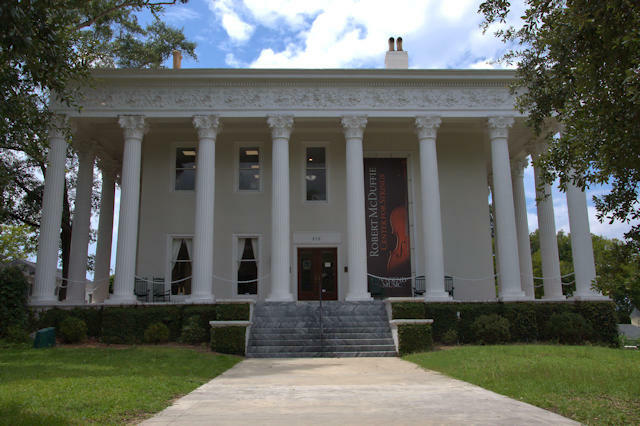 Today, it’s home to Mercer University’s Robert McDuffie Center for Strings. 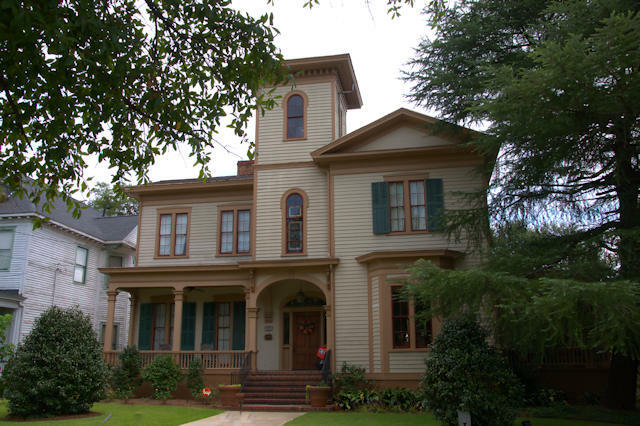 This Tuscan-inspired Victorian is one of the most architecturally interesting houses in the Orange Street neighborhood and a well-loved Macon landmark. 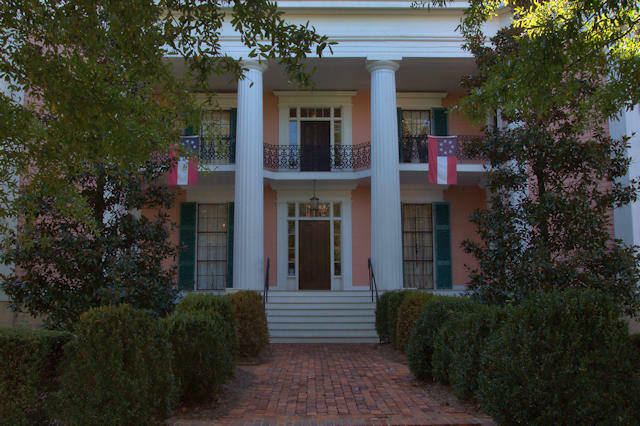 It was built by Judge Clifford Anderson, who practiced law with Sidney Lanier’s father Robert for a time in Macon. He was also the brother of Sidney Lanier’s mother Mary Jane. In 1846, Anderson served as the first president of the Macon chapter of the YMCA. Anderson was a member of the Confederate Congress and a captain in the Floyd Rifles. He served several terms in the state legislature after the war and also served as state Attorney General. Nathaniel Campbell Munroe built this around 1857 as a simple five-room central hallway cottage with a plain front. The Victorian details were added at a later date; that may have been done in 1878, as a local historical marker associates that date with the house. Munroe was a prominent figure in early Macon, serving as secretary of the Board of Health and the Macon Lyceum & Library Society. director of the Macon & Western Railway Company and of the Macon Manufacturing Company. He was also a warden of Christ Church and a trustee of the Georgia Academy for the Blind. He sold the property in 1862. One of the owners was Captain Samuel S. Dunlap, who organized the Bibb County Cavalry and was wounded at Gettysburg. He opened the first hardware store in Macon in 1866. In 1903, Peter J. Bracken, engineer of the “Texas” in the Great Locomotive Chase, died here while visiting relatives. The William A. Snow family were later owners who made great improvements to the property and grounds.